Blending classic styling, modern features, and responsibly sourced down, the Obermeyer Dusty Down Ski Jacket is a perfect addition to your new ski gear. The 550-fill Powder Duck Down is Allied certified and combines with a DWR finish to extend breathability and integrity. 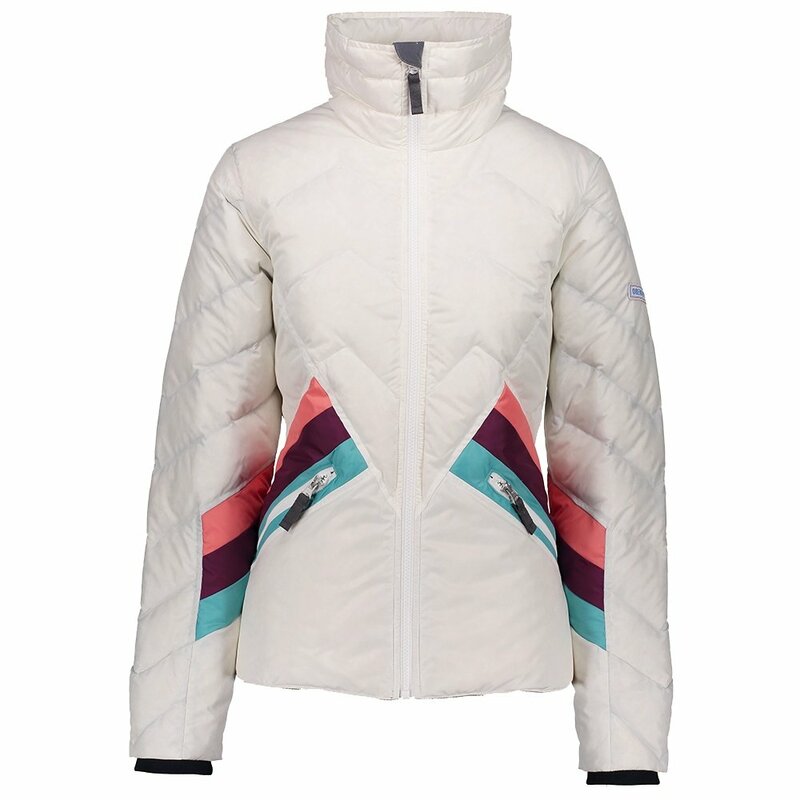 The Obermeyer Dusty Down Ski Jacket also features a drop back hem and interior windguard with a fleece chin protector for added comfort. And in case things get really cold, the zippered tricot-lined handwarmer pockets go a long way to keep you comfortable.